Do you enjoy map completion? Why or why not? [NA][Gates of Madness] LF WvW guild, want to learn commanding. How to get into commanding? Any tips for someone who wants to learn would be great. Gave WvW one last try, going from thief to ranger. What group content do you enjoy soloing? What do you solo them with? Anyone else enjoy trying to solo group content with their ranger? What are your strategies? Noob at builds, could use feedback! 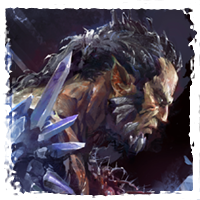 How do you survive with berserker stats in places like Maguma? Trying to get into raids, what role for ranger? What does the path to legendary armor look like? Been gone for 6 months, how's ranger doing? Are there any good resources for someone wanting to get into WvW roaming? Do you ever feel like a scrub because you play an 'easy' profession? Are they really that easy? How do you feel ranger is doing? Debating on switching to it. Tips for warrior in PvP/WvW? What profession did you learn the most about the game from? Help me pick a profession before I burn myself out. In your opinion, how do the professions rank in viability across all game modes? Either I'm doing something wrong, or need to get good.